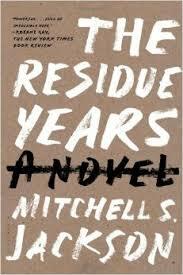 Multnomah County Library’s 2015 “Everybody Reads” book is The Residue Years by Mitchell S. Jackson. This is an autobiographical novel for adults, set in a tough neighborhood in Portland, OR during the 1990s. I have my copy, but have yet to read it. The Residue Years is too mature for young adult readers (12-18), but there is an alternative that has just been published. 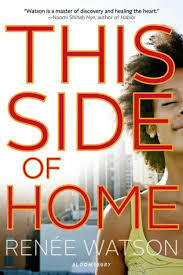 This Side of Home by Renée Watson is set in a Portland, OR neighborhood that is gentrifying. Publisher’s Summary:Identical twins Nikki and Maya have been on the same page for everything—friends, school, boys and starting off their adult lives at a historically African-American college. But as their neighborhood goes from rough-and-tumble to up-and-coming, suddenly filled with pretty coffee shops and boutiques, Nikki is thrilled while Maya feels like their home is slipping away. Suddenly, the sisters who had always shared everything must confront their dissenting feelings on the importance of their ethnic and cultural identities and, in the process, learn to separate themselves from the long shadow of their identity as twins. You and your teen could read different books on a similar theme and perhaps have a great conversation.